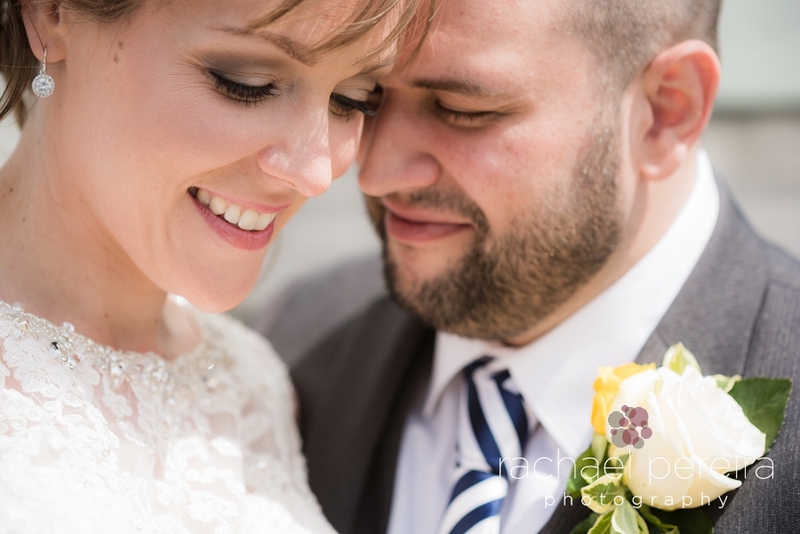 I'm so excited to finally blog this fantastic wedding. 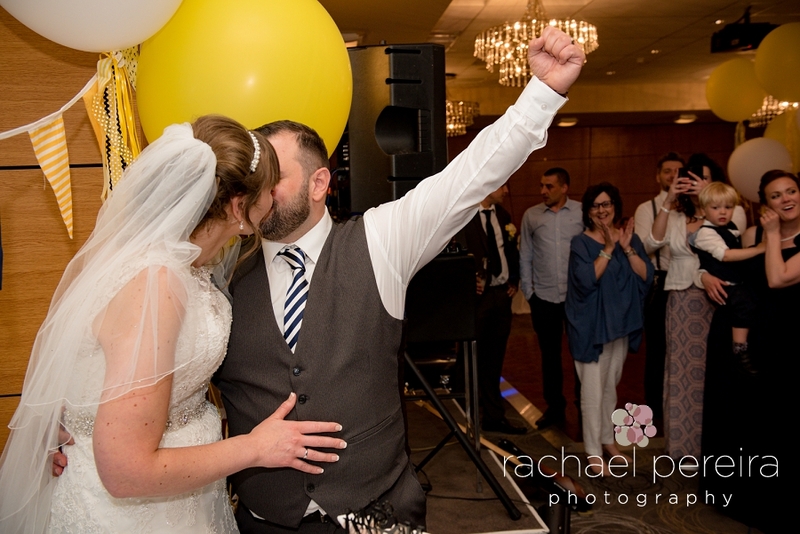 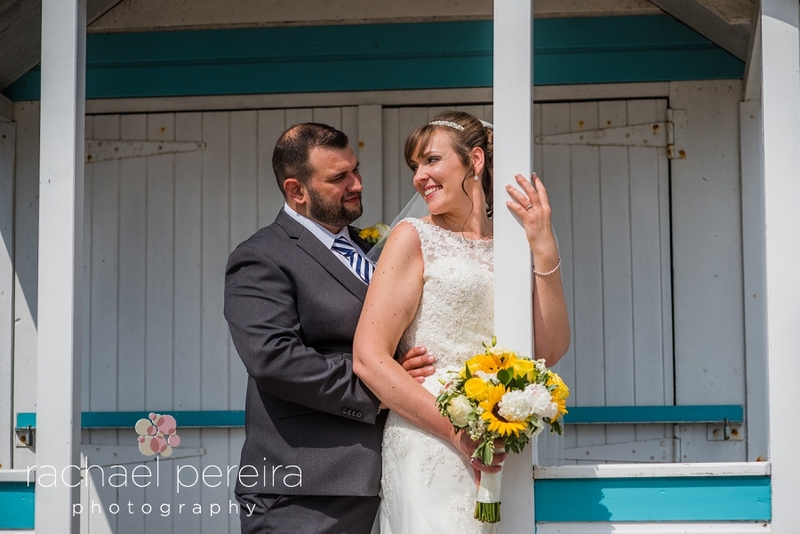 It was such a brilliant day at the seaside with so many details made by the bride in their yellow and blue colour theme, but what made this wedding so special was this awesome couple who are now firm friends. 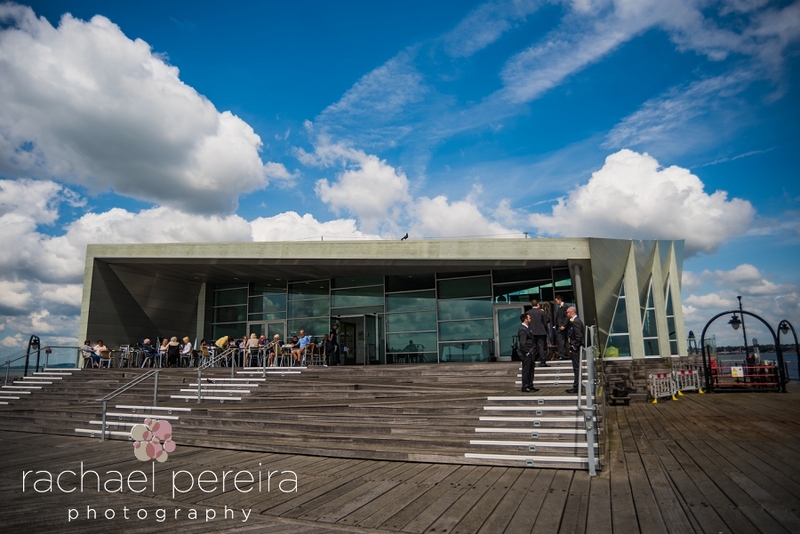 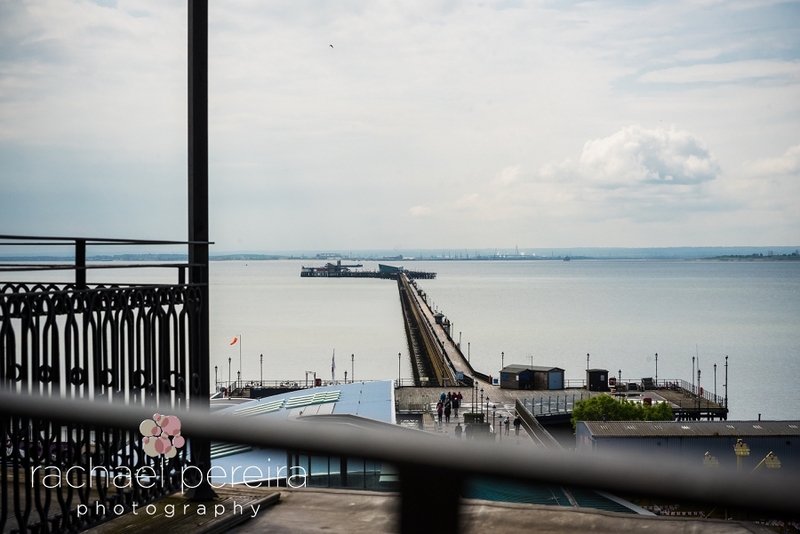 When we first met Amanda and Fab and they told us of their wedding plans we were thrilled to be capturing their big day, Their wedding was to be held at the end of Southend Pier, yes, half way out into the Thames Estuary, with their reception to follow at Park Inn Palace, all with a nautical / seaside theme. 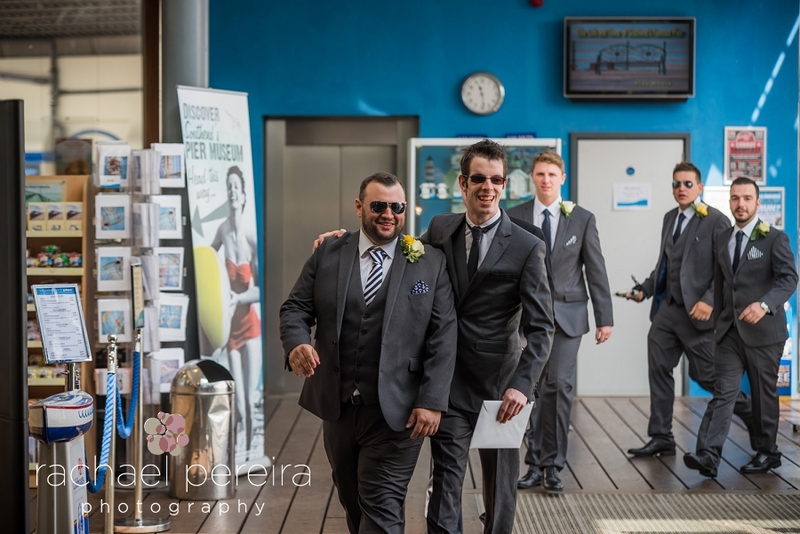 With Fab (Fabrizio) being Italian and his family coming over it was time to brush up on the Italian language lol. 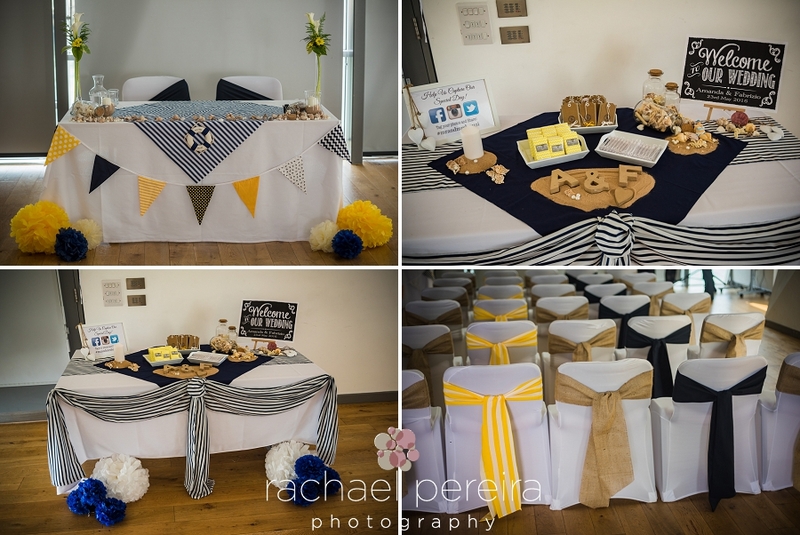 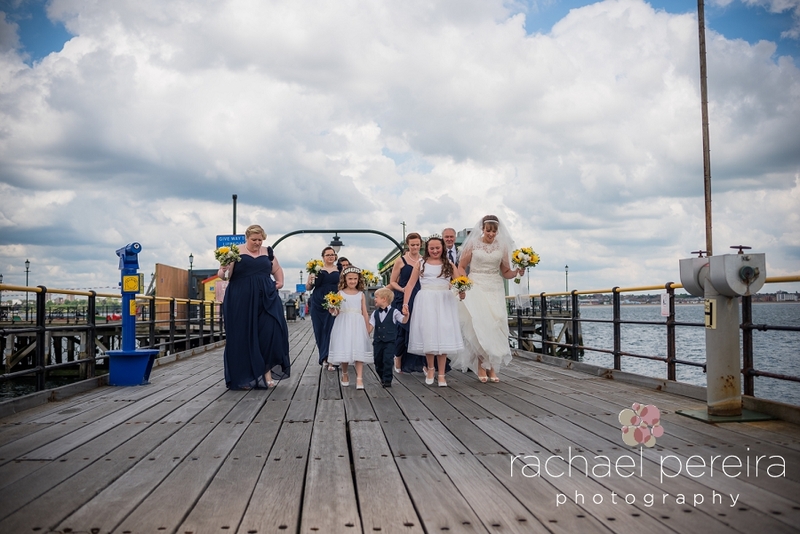 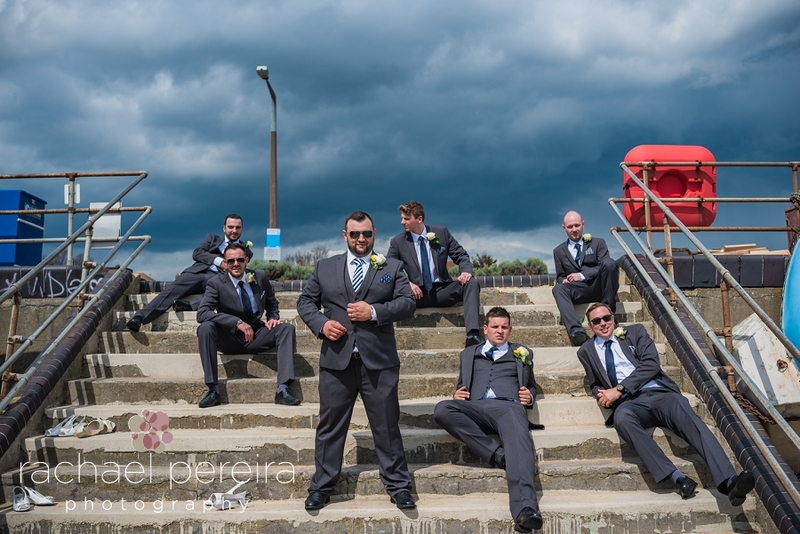 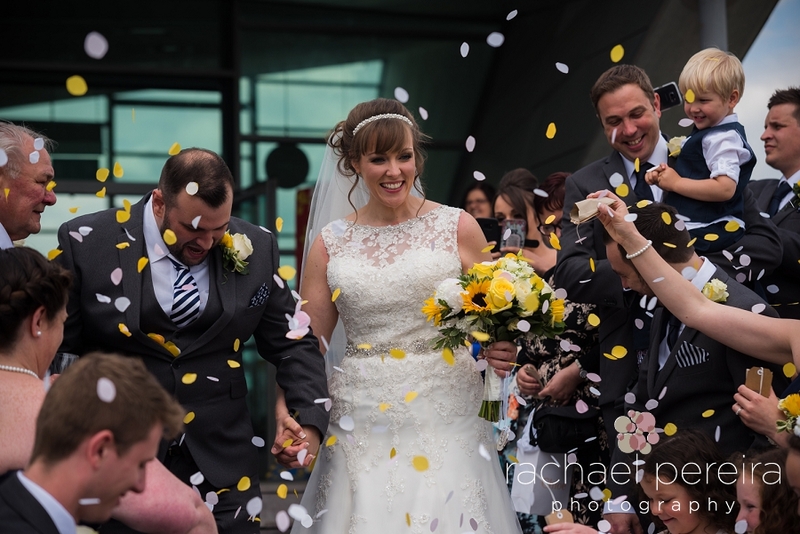 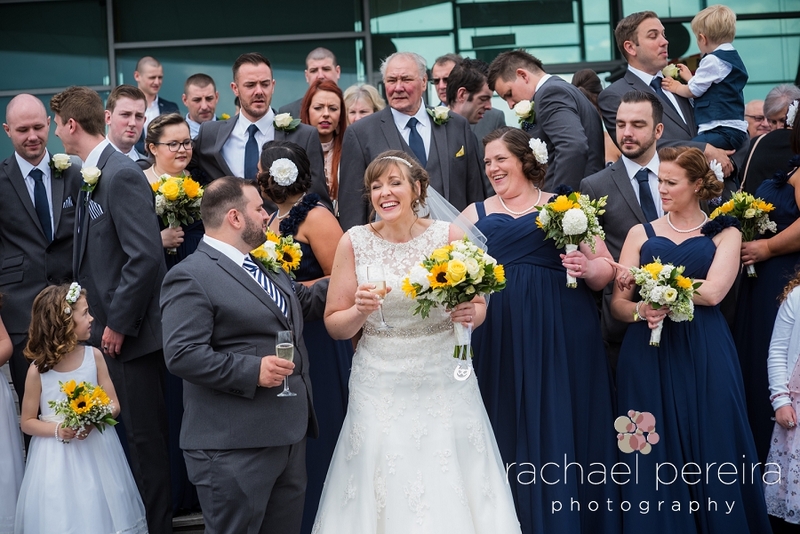 Whilst Amanda was getting ready at the Park Inn Palace, Fab and the boys took the train down the pier to the wedding venue, all wonderfully decorated with buntings, shells, life buoys and flowers, with a wonderful view over the Thames Estuary and the sun shining. 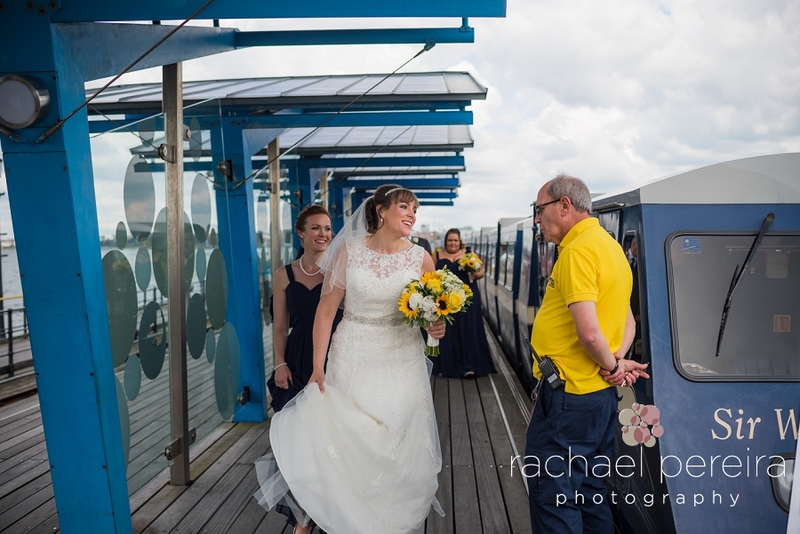 All their guests arrived on the next train and the scene was set for Amanda and her beautiful bridesmaids to arrive on the next train. 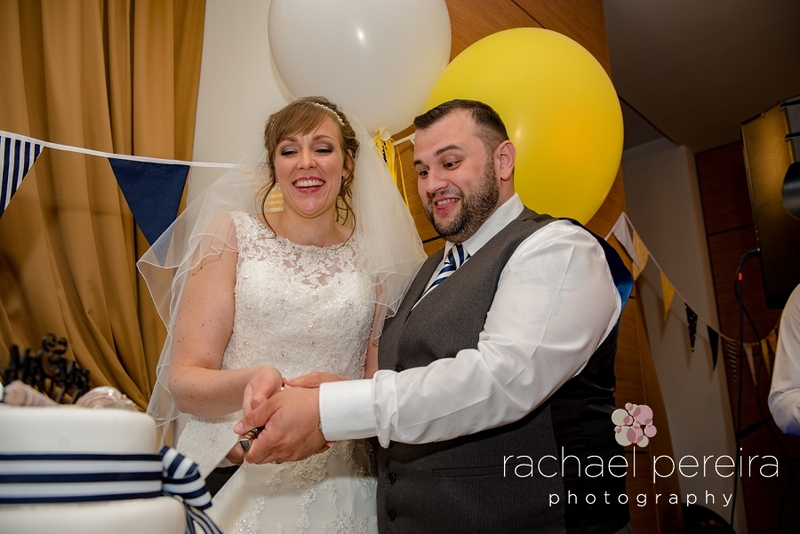 The ceremony entailed their vows being read in both English and Italian, well done guys !! 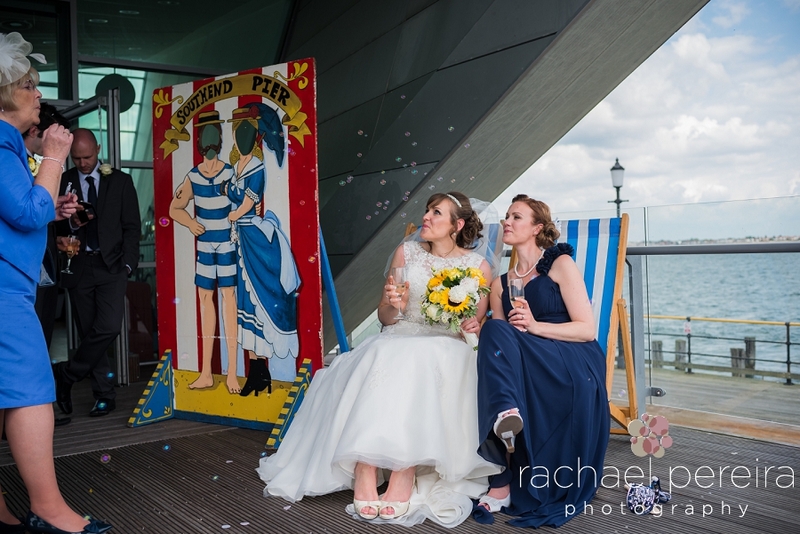 Then outside onto the pier for some photographs, including some in deck chairs and the fun ''head through the hole'' postcard type pics, before setting off further down the pier with two huge balloons for some couple portraits. 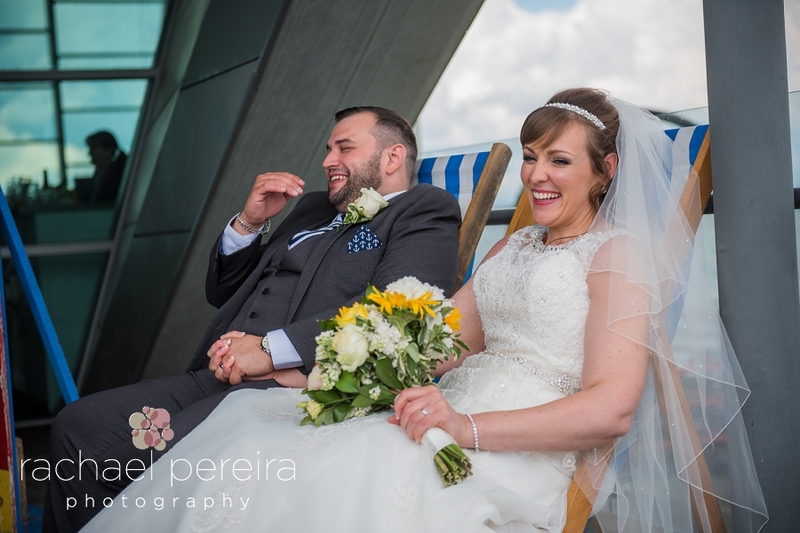 All too soon it was back to the reception at the Park Inn, also wonderfully decorated with the seaside theme, for a lovely meal and some great speeches, which brought much laughter from the guests, with fantastic views overlooking the pier and Thames. 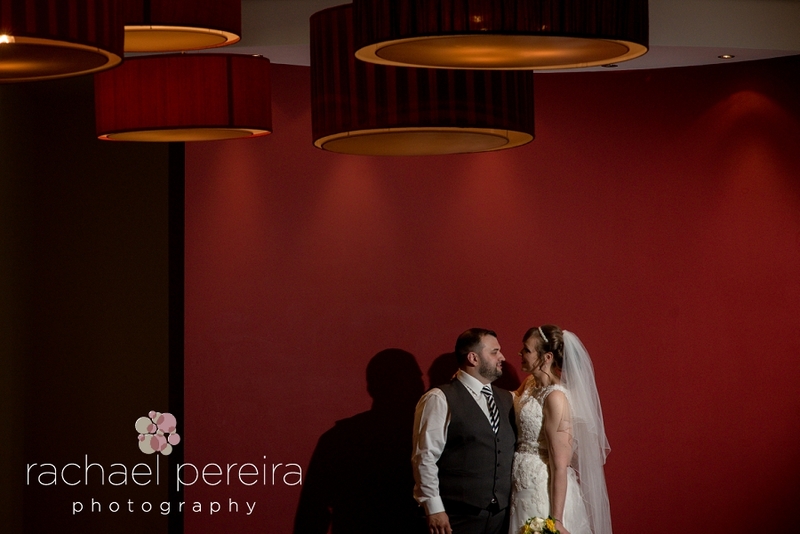 As darkness drew near it was into the evening celebrations, with many new shapes being created on the dance floor, this day was going way too quickly and soon it was time to say goodbye to this awesome couple and their lovely friends and family, thanks again Amanda and Fab for having us capture your wonderful wedding .